The country's most talented artisans are turning out better versions of kitchen basics like granola, honey and sea salt. Ben Jacobsen discovered great salt when he traveled abroad after college, buying it everywhere from Denmark to South Africa. "It transformed everything I put it on," he says. 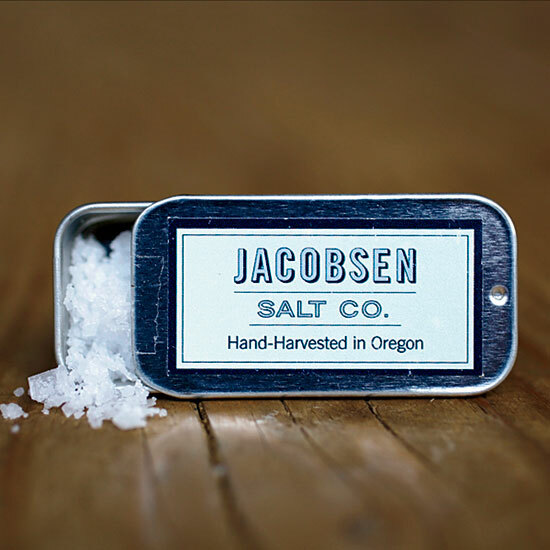 In 2009, a couple years after returning home to Oregon, he set out to make his own salt: "I figured that if Maldon comes from the UK, which has a similar climate to the Pacific Northwest, this had to be possible." Jacobsen spent the next two-and-a-half years testing seawater in dozens of spots. "The taste and salinity of the salt varied incredibly," he says. "It was the same way that terroir affects wine." He finally settled on Netarts Bay, 80 miles west of Portland, hand-pumping seawater into plastic drums that he would transport to a commercial kitchen in the city, then painstakingly collecting flakes of salt by hand with a custom-made strainer.